We all make mistakes. Online, it seems, it’s easier than ever to point out those mistakes. Whether it be through posting a review or just commenting on a post, with just a few keystrokes we have the ability to make someone’s mistake public. This can definitely be frustrating to the person or business making the alleged error. Naturally, when we don’t agree with the way we are being reviewed our first instinct is to get defensive. No one likes to be wrong, and people, in general, do not like to fail. In fact, the fear of failure is one of the biggest. I’ve often talked about embracing those critics and learning from those experiences. Why? Inspiration. Inspiration doesn’t have to come from someone or an experience that is positive. We often think of it that way, but I also like to view negative reviews or experiences as a way to learn and take away a positive. Next time someone criticizes you or your business I challenge you to react differently. I don’t expect you to not get upset, but please try not to get defensive. If you get upset be mad at the fact something went wrong, but don’t get upset with the person pointing out the error. Their perception is most likely their reality. I believe these are great opportunities to innovate and find a better way. 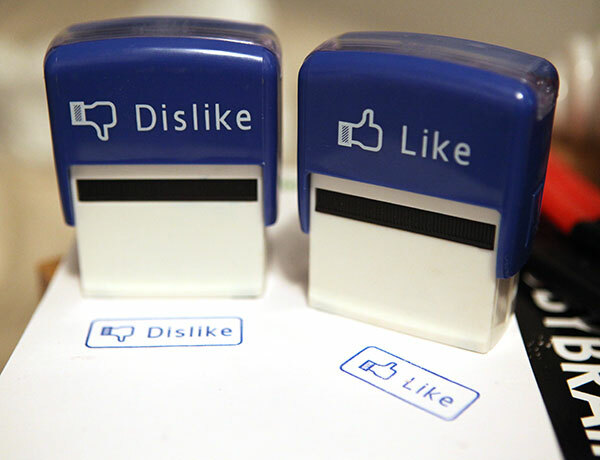 I saw these “Like” and “Dislike” stamps the other day. 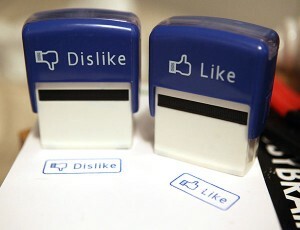 At first I thought they were a clever idea, but after thinking about it I realized why I wouldn’t want to use the “Dislike” one. Just like Facebook, I’d rather find things to “Like”. Of course, there will be things I “Dislike,” but I’ll just use those as inspiration to point me in the direction to “Like” something else or find something positive. I may debate some facts or question some ideas along the way, but I’m always striving for kaizen. How about you?